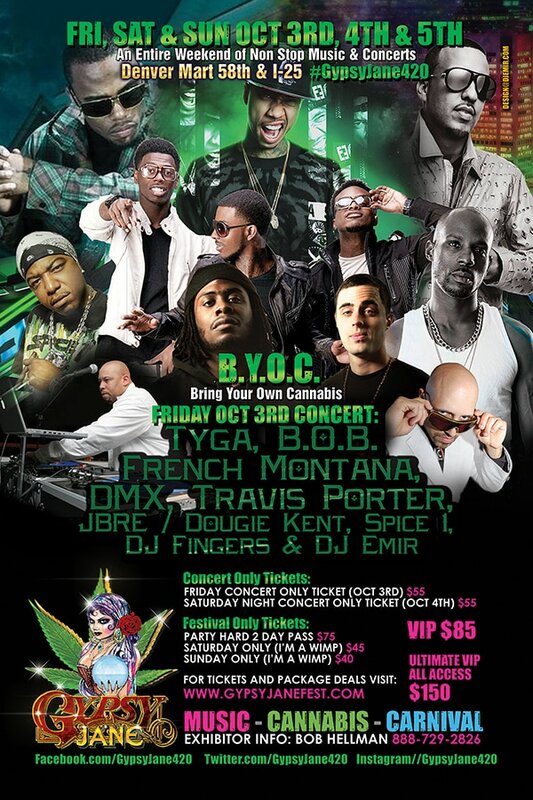 Weed flyer designs and 420 flyer designs for all types of weed related events, festivals and concert events. See a few of our past designs below and order your flyer designs now. 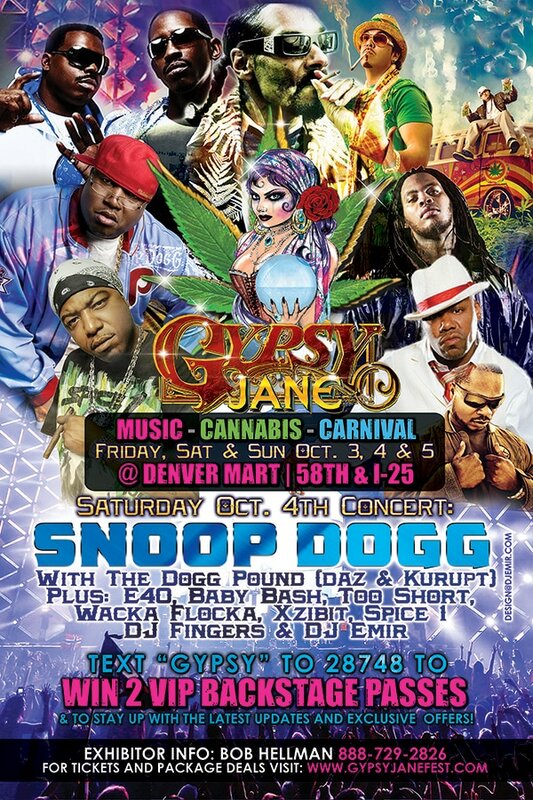 Gypsy Jane Cannabis Festival and Concert Original Flyer design featuring Snoop Dogg The Dogg Pound, E40, Baby Bash, Wacka Flocka, Xzibit, Spice 1, DJ Fingers, DJ Emir and more. The final featured artists eventually changed due to scheduling conflicts and a different flyer was made later on. Created Gypsy Jane Logo design, flyer designs and vendor sale sheets and all marketing materials.